Believe it! Naruto Uzumaki is stepping out of anime and making his way into the big screens. For years now, fans have been wondering when the insanely popular Naruto franchise would make its way to Hollywood. Those questions only intensified when Lionsgate acquired live-action film rights to the series, and sources began reporting that the studio was developing an adapted film based on the anime. Now, the creator of Naruto has spoken out about the live-action future of his beloved series. Everyone, it’s true. Naruto is being made into a full-scale Hollywood blockbuster, and Masashi Kishimoto has been brought in to make sure the film hits home. Today, the creator appeared at Weekly Jump’s Jump Festa where he made several major announcements about Naruto’s future. It was there that Kishimoto confirmed a live-action adaptation of Naruto was coming and that he has been asked to help develop the movie. Director Michael Gracey is working on the Naruto film with Kishimoto, and the event showed fans exclusive pre-production art from the upcoming movie. Of course, this is not the first time fans have heard about the movie, but it is the first time that Kishimoto has confirmed its existence. Last year, The Tracking Board Hollywood reported that Lionsgate was in talks with Gracey over the film. The director, who is know for working on The Greatest Showman, has a background in visual effects and animation. The site also said that Avi Arad and his son would be producing the film thanks to Arad Productions. Geoff Shaveitz and Kelly O’Malley were also attached to the project. So far, there is no word on when the film is expected to come out, but some fans are understandably worried about the adaptation. After all, Hollywood does not have the best track-record when it comes to anime projects. Fans tend to block out the existence of Dragon Ball Evolution, and even related adaptations like Avatar: The Last Airbender went horribly wrong once they entered theaters. However, fans are hoping that sour reputation will soon change. Next year, Rupert Sanders’ live-action adaptation of Ghost in the Shell will hit theaters, and fans are reacted positively to its previewed footage despite its controversial casting decisions. 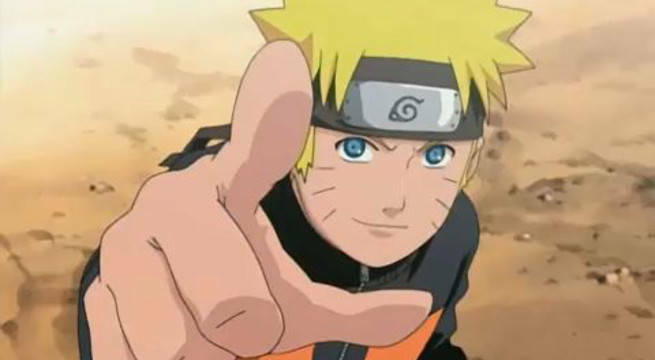 At the event, Kishimoto also confirmed that Naruto would continue on in the realm of anime. Once Naruto Shippuden ends it lengthy run, the creator said a spin-off series would hit televisions in April 2017. An anime series focused on Boruto and other second-generation ninjas from the original series is underway at TV Tokyo, and Kishimoto said he hopes the show will make Naruto even better than ever before. So, what do you think? Are you excited about the Naruto live-action film? How do you think they are going to cast the eclectic characters? Let us know what you think in the comments below!